41' Tom Heaton mis-clears and the ball breaks for Saville, the midfielder composes himself but it's blocked by Ben Mee. Burnley fans getting a bit frustrated at this. But then they get behind their team. 39' Doherty delivers a ball towards the Burnley near post but the home side clear their lines. Crowd is 17411 with 1091 from Wolves. Zyro comes out to pick the ball up. But as he has it there is no one in the box. He has to delay. and that allows Burnley to clear. 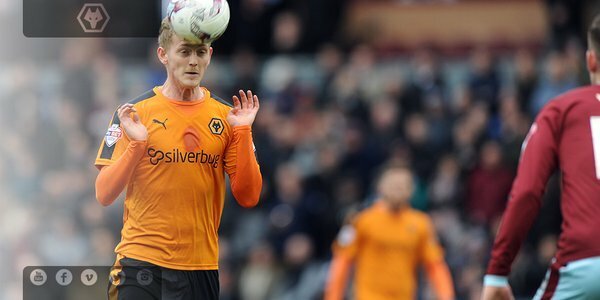 36' Scott Arfield brings down a long Burnley free-kick and the ball almost breaks for Michael Keane but Wolves get out to intercept. 22' Wallace is released down the right wing, he shows great pace to break to the Burnley box but his low cross is dealt with by Ben Mee. Wallace with fine burst down the right but his low cross is dealt with by Mee. Can anyone tell me if Mason isn't fully fit or has he been brought as a Super Sub .... Strange?? Passed the 20-minute mark and the pace of the game has settled. Burnley started strong but Wolves have grown into it. Remains 0-0. 20' Joey Barton delivers a Burnley free-kick towards the back post but Ikeme gets out to punch clear. We need to play a patient game.